There are so many surprising and interesting stories that intersect with the North Island. Recently a reader contacted me to suggest that I write a history article on Lilian Bland and her connection to Quatsino. Never having heard of Ms. Bland, I was intrigued. Lilian Emily Bland was born in Kent, England in 1878. Her mother died when she was young, and she was raised by her father. She was always a bit non-traditional and liked to push the boundaries of what was considered acceptable for women at the time. Lilian became obsessed with airplanes after her father received a postcard commemorating the 1909 flight across the English Channel. She contacted the pilot to see if she could do a ride-along with him, and also had a boyfriend for a time who was a pilot, but she was not able to find anyone who would teach her to fly. 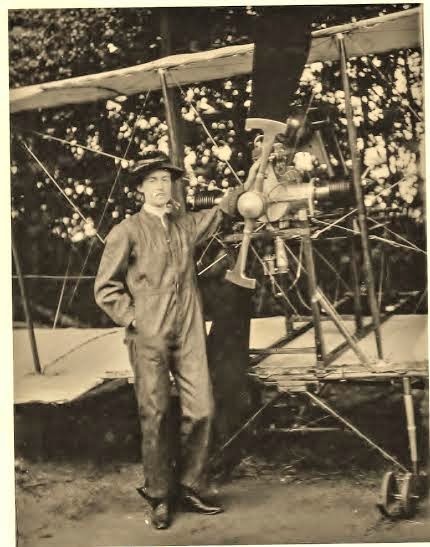 Determined to learn to fly, Lilian designed and built her own aircraft, called the "Mayfly." After a few close calls with a bull in a farmer's field she successfully flew her own powered airplane, the first woman to do so. She also looked into the commercial applications of air flight, but decided it was not as lucrative as the growing motorcar industry. 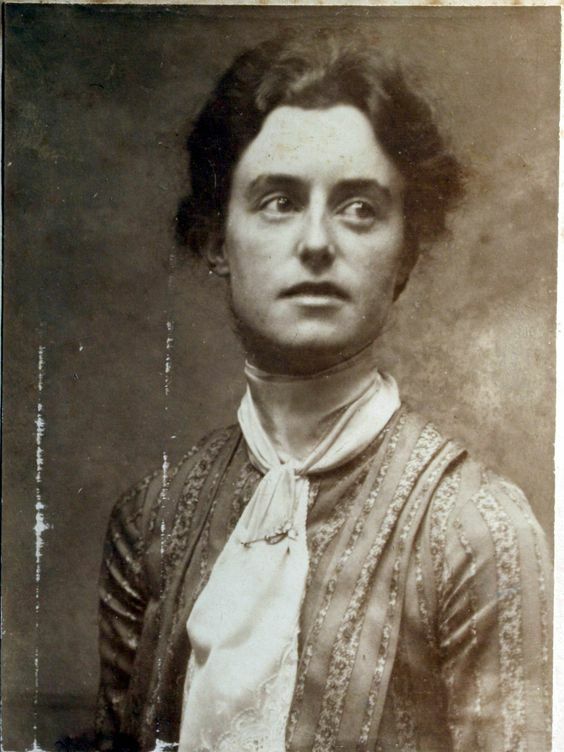 Bland became the first female agent for the Ford Motor Co. in Ireland. She was also a reporter, writing for the London papers. Lilian married her first cousin, Charles Loftus Bland. Charles, a younger son in a well-to-do family filled with successful army men, had trained for a career in the army but found it not to his liking. When he quit the Army his sister had him committed to an insane asylum for about seven months before he was released and went to work as a farm labourer picking potatoes in Ireland. By 1906 Charles's family had convinced him to move to California. Having an adventurer in the family, it seems, was preferable to having a potato picker. By 1908 Charles was in Victoria, British Columbia, and hired himself out to work a trap line near Quatsino Sound. He met Alec Farmer, Joe Browning, and George Thorburn who were all taking up land at the Ingersoll River, and convinced his brother to lend him money to invest in an homestead nearby. After a brief trip home to Britain, Lilian and Charles were married in 1911 when she was 32 and he was 29. The couple kept their nuptials a secret, as they were worried their being first cousins would be looked down upon. Lilian set off to join Charles and to explore the wilds of Quatsino Sound in 1912. In 1913 the Blands had a daughter, whom they named Patricia. 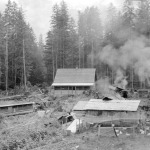 Lilian took up photography during this period and took many wonderful photos of the homestead in Quatsino Sound on the Johnson River (now known as Kewquodie Creek). The farm was located on the south side of Quatsino Sound just west of Drake (previously known as Limestone) Island. Many of the photos which Lilian took in Quatsino have been published on a website dedicated to her life: http://www.lilianbland.ie/ . Life on the homestead was hard, with rough physical labour required to remove the huge stumps and to plant gardens and build rough outbuildings. All wood had to be chopped by hand and hauled to the house. Trips away from the homestead in the small boat were at the mercy of the weather. In 1917 Lilian's cousin Mary Madden, aged 15, joined the family in Quatsino to help out on the homestead. The Blands were friends with the Varneys, also emigrants from Britain who had homesteaded in Varney Bay by the mouth of the Marble River. During prohibition the Blands thought they would make some extra money by brewing loganberry wine and selling it to Ned Friggon's establishment, the Central Hotel on Limestone Island. Unfortunately Charles was caught by the Port Alice police and fined $300, in lieu of the 30 day jail term. In 1929 the Bland's daughter Patricia died of tetanus at the age of 16 years. This was a tremendous loss and heartbreak for Lilian. Lilian and Charles' marriage was also a rocky one, and in 1930 Lilian returned to the United Kingdom, where she resumed her avant garde lifestyle, wearing trousers and gambling. She took up painting and landscape gardening and became well known for her garden in Cornwall. She died May 11, 1971 at the age of 91. Once Lilian was gone, Mary returned to the homestead and lived there with Charles. They had four children, and their descendants still reside on the North Island.